Anthony Vacca had grown up in Paterson, NJ before the Great Depression. 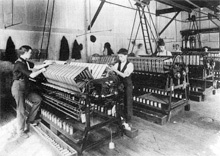 His father Michael had owned a textile mill in Paterson - the Silk City. The mill was where young Tony Vacca was expected to work along with his older brother Louie every day before and after school and thats what he did. Year after year the brothers worked together and learned the textile business. Then came the depression years and along with the rest of the nation the textile industry in Paterson, NJ was devastated. 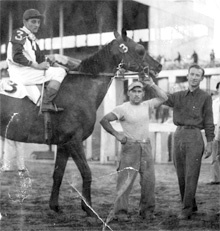 But this was the time of Seabiscuit and War Admiral and like many of his generation Tony loved horses of all kinds and he was drawn to the excitement of the racetrack. When he came back from WWII Tony Vacca was determined to get involved with the sport he loved. A friend he knew from Paterson before the war was training horses in New England and asked if he wanted to help take care of some neglected old race horses that were on a farm in western Mass. Tony jumped at the chance. Tony learned fast-as anyone does who has a passion for a subject. Before long he was training horses and bringing in winners. The Archive Photos Section of the website contains a few of the many winner circle pictures from those early days. There wasnt much in the way of prepackaged tack items back then. Much of what you needed you made yourself and if you came across a formula for a liniment or a tightener or a poultice that got some special results you guarded the secret with your life. You had to be resourceful finding the ingredients you needed in drug stores or under the kitchen sink or maybe growing in a field. Bandages were often torn from old rags. If you could afford it, you tore strips from a piece of flannel bought at the local dry goods store. Tony made the best of it, once fashioning a rundown patch cut from a ladies undergarment  the horse won. Many years later in the 1960s Louie, his brother that had worked beside him in the mill brought a piece of new fabric to show his brother Tony - the horse guy. When Tony saw this new fabric his brother had brought him the wheels began to turn. He went to a fence post and draped the new polyester material over it and began to hit it with a hammer-it did not tear or make a hole-this stuff wears like iron he said. Enthusiastically he began to use the imagination and resourcefulness he had learned from the old timers on the racetrack. He could apply these new fabrics to make much needed products for the industry he always loved. 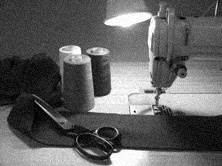 Tony acquired a special knowledge of the new textile industry in the 1960s. He learned all he could about the new polyester, nylon and acrylic fibers, the shirpa fleeces, the polar fleeces, the bright colored knits. Because of his unique background he immediately understood how to apply these new fabrics and fleeces to make much needed products  durable products  to better care for horses of all kinds  and the Vacs Bandage Company was born.